The 3-star AB11 Town House hotel is in the heart of Aberdeen, just a 5-minute walk from the train and bus stations. It offers bedrooms with power showers and free Wi-Fi. Large rooms at the AB11 all feature an LCD TV and seating area. Just 15 minutes' walk from Edinburgh city centre, the Abbotsford Guest House offers rooms with en suite bathrooms and free Wi-Fi. Free parking and cooked breakfasts are also available. A 4-star guest house, Abercorn is 5 minutes' walk from the beach and 10 minutes' drive from Edinburgh city centre. 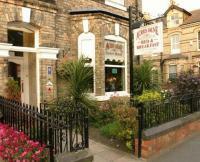 It offers elegant rooms with free Wi-Fi, cooked breakfasts and free parking. Acer Lodge is a traditional Scottish, family-run guest house situated a 15-minute drive from the heart of Edinburgh and Edinburgh Airport. Parking and Wi-Fi are free. All rooms have a bathroom with a shower, toiletries and a hairdryer. Alexander Guest House is a friendly B&B with good breakfasts, clean rooms and excellent bus access to Edinburgh city centre. Arthur's Seat provides a beautiful backdrop. At Alexander there is limited free parking and free internet access. 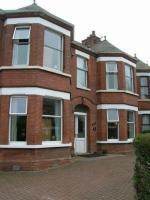 Alpha Guest House offers ground floor rooms, a 5-minute drive from Edinburgh city centre and Edinburgh Hospital. It has free Wi-Fi, free parking and a 24-hour front desk. All the rooms have a bathroom with a hairdryer.